Rochester Global Connections has been providing cultural exchange programs since 1957. Through person to person connections, we promote positive U.S. foreign relations and a more peaceful and prosperous world. Bharat Thazhathu and Harshita Sood, both from India, came to Rochester to study at Rochester Institute of Technology (RIT). Being in a new city and far away from home, they felt uncertain and didn’t know what to expect. After learning about Rochester Global Connections and being assigned a Friendship Volunteer through the International Friendship Program, they quickly adjusted to living in the U.S. and Rochester started to feel like home. “It allows international students to realize they are welcome, they open doors and hearts and most importantly embraces that mission to connect” says Bharat. 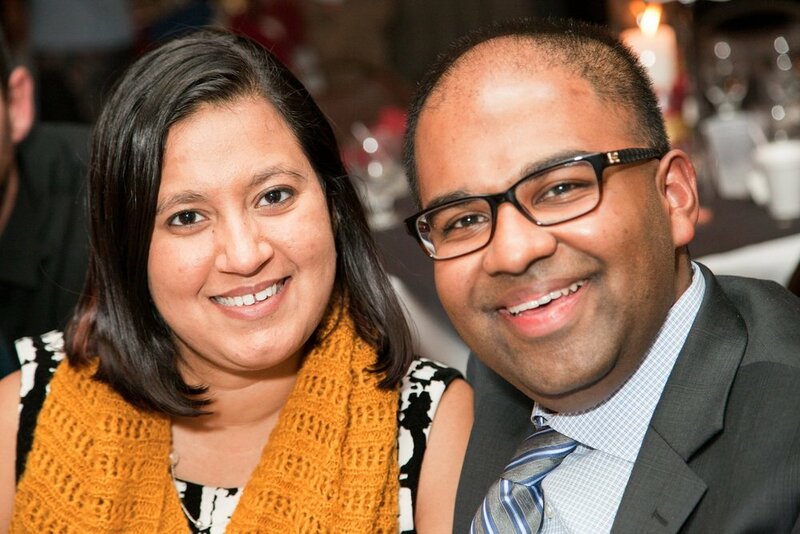 Upon graduating, both Bharat and Harshita decided to plant their roots in Rochester. This city, which was once foreign to them, is one they are now proud to call home. They knew that they wanted to continue their work to support international students, so they decided to join Rochester Global Connections as Board members. “We’ve been part of the RGC family for six years now – first as students, and now as volunteer leaders,” says Harshita. Bharat and Harshita include to be involved in strategic planning, outreach and marketing for Rochester Global Connections. They hope to introduce more international students to the Rochester that they have come to love. Phelan Conheady participated in Rochester Global Connection’s first Iraqi Young Leaders Exchange Program, in partnership with Allendale Columbia School. Phelan hosted one Iraqi student and spent two weeks exploring the themes of leadership and peacebuilding with international students. Phelan is now majoring in International Relations and French at University of Rochester and hopes to go to Iraq one day to continue to promote diplomacy and positive U.S. foreign relations. “To see them critically think and really look at their own society with open eyes, without any prejudgments and if they do, they are willing to mold or change their perspective. Just seeing that before my eyes and not interjecting their thought processes. It was just really, overwhelming, good overwhelming. To see them accept two important aspects of my identities, it made me closer to them,” says Phelan. The Iraqi Young Leaders Exchange Program is just one way Rochester Global Connections injects diversity and cultural exchange into our Rochester community. Connie, a hospitality host of over ten years, was inspired to meet new people after travelling with the Peace Corps and working with refugee students. Rochester Global Connection’s pairs hospitality hosts with international visitors and students to create greater cultural understanding. “Before I got involved, I had preconceived notions and the more I do this, the more I realize everyone is really the same inside,” says Connie. Rochester Global Connections provides Connie a perfect way to give back to her community while also broadening her own borders and understanding of different cultures. Over the years, Connie has collected trinkets from across the world. Including an apron from India and fruit cover from Botswana. She has learned that every visitor comes with a new gift – whether it be a trinket, a recipe passed down for generations, a story or a new life lesson. “You can do as little or as much as you want. I say it’s a wonderful experience, it’s really enjoyable, it’s a way to make as much or little of a connection as you want,” says Connie. One connection she has kept through the years is with an Indonesian visitor who stayed with her for a weekend. The group of Indonesian men cooked Connie a special, Indonesian dinner and introduced them to their families via Skype. She continues to stay in touch with one of the visitor who sends her updates on his new business. 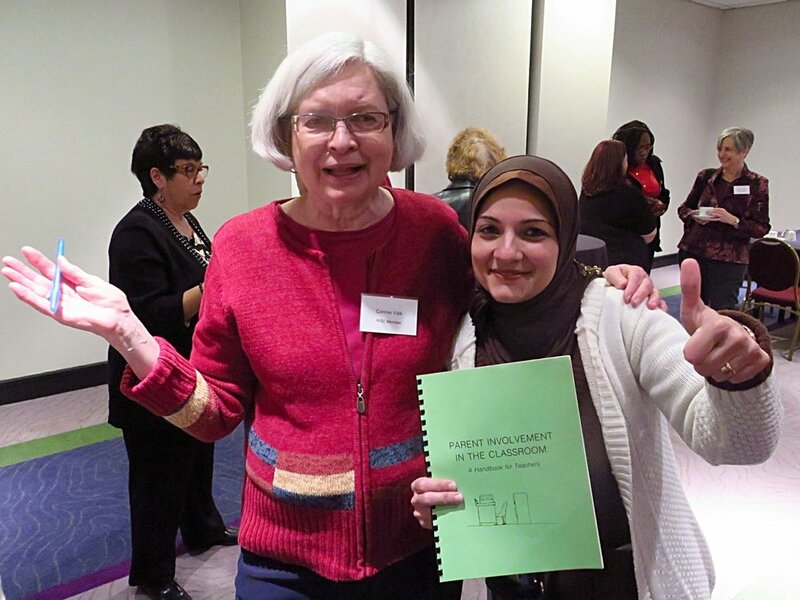 Rochester Global Connections encourages friendships to form that know no borders. Connie has made countless new friends over the years and loves how many new people she meets through Rochester Global Connections. Natalie, an Open World Alumni, returned to Ukraine inspired after learning about accessible libraries in Rochester and the U.S. She made plans to implement similar libraries in her home country, but after a few years, Natalie and her family became Internally Displaced Persons or IDPs, due to the ongoing conflict in Ukraine. Because of the people she met though Rochester Global Connections, she could get the resources and support she needed to remain safe and to assist other IDPs. Natalia and other IDPs create a self-help group that plays a huge role in improving the quality of life for displaced families, by involving them in volunteerism, community and civic activities. 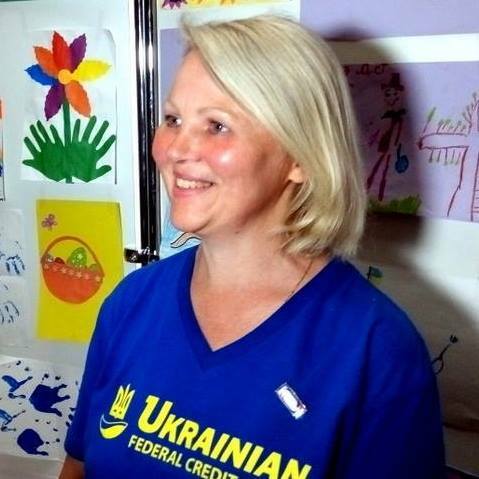 Natalia’s her initial aspirations to create a new library center in Luhansk, focused on removing the divide for disabilities and making the library accessible to all, were ended by the Russian occupation in parts of Eastern Ukraine in 2014. Leaving all professional work behind, Natalia had to start over and thankfully found a job in the Poltava library. She continues to work on projects and bring the knowledge she learned from American librarians and the Library of Congress to the Poltava library every day. RGC Professional Resource and Hospitality Host Heather was introduced to Rochester Global Connection in 2010 and it has since changed her life. and taken her career across the world. Heather and her husband, Brian Bailey, worked on an exhibition project in partnership with The International Visitor Leadership Program (IVLP) in Nagaland, India which was featured on PBS News. They worked with IVLP to start “GLOCAL” International Film Festival which, now in its 7th year, focuses on a cultural exchange between Naga and American filmmakers. “The experience of meeting people from around the world takes you out of your every day life. On a professional level, it is a wonderful opportunity to see your work in different contexts and to present it to people coming from different parts of the world. It enables you to imagine possibilities that you have never thought about before. It makes you see the world from a different view,” says Heather. In addition to the film festival, Layton and Bailey hosted five first generation Naga filmmakers in Rochester, sent American artist Mike Iacovone to Nagaland for a photography project, and hosted Tiatemjen Jamir, a Naga photographer, here in Rochester. The exhibition project provided both cultural exchange and opportunities for both Rochester and Nagaland communities. In 2012, went to Karachi, Pakistan to set up and contribute to a conference entitled “Social Intervention 2012: A Better Tomorrow for the Coming Generation” at University of Karachi. As a result, the U.S. Embassy in Pakistan contacted Heather and Brian to speak at two other universities to talk about art and its potential for international diplomacy. Heather and Brian’s relationship with Rochester Global Connections and IVLP has significantly increased their level of participation in international collaborations and, hence, has expanded the scope of their contributions to future generations.